To login to your customer account area on our website you can click Login from the top menu of any page. 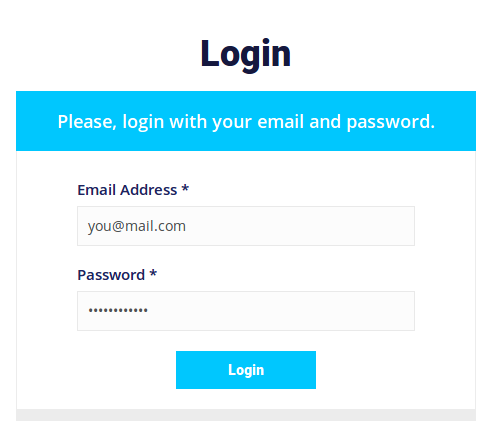 This will take You to a login page, where you will need to enter your E-mail address and password. If you have forgotten your password, you can perform a password reset by clicking the Request a Password Reset button on that page. If you are not sure which of your Email accounts is registered in your customer details, please contact us and we will help.